To be a poet, you have to have a real eye for detail. Usually I avoid repeating words unless it’s part of the poem, and take care over punctuation and line breaks, and avoid clichés. Also, as I said, you become very self critical, and a poem can feel as if it’s never finished. I’ve re-written poems ten or fifteen times, and it still feels like it’s not quite right. So you end up with a sense of dissatisfaction with your own work. Also, because there are some stunning writers out there, you read your own work in comparison and think ‘ah well, back to the drawing board’. That said, it’s very enriching. It allows you to explore different personalities and perspectives. I’ve written from the point of view of an addicted prisoner, a Tory insider, a lion, a bankrupt man, and a cat. So writing, in the best sense, expands your vision of the universe. The poems in Animals came from lots of different places. A few are reflections on current affairs, like ‘The Big Society’, ‘Jimmy Savile Speaks’ and ‘Hack’, which was written when Rupert Murdoch closed The News of The World in 2011. Others are explorations of the animal kingdom and how it reflects humanity. Other poems are about the end of the world and how climate change will have more and more impact on our planet in the coming decades: ‘The Queue’ and ‘The Ledge’ are both examples of that. Some of the others are more autobiographical. So it’s a real mixture. As long as the idea really grabs me, then I’ll write something on it, but it has to have some sort of emotional heart to it. Poetry is deceptive. From the outside it looks like a pond, but when you dip your toe in, you realise it’s an ocean. You could spend a lifetime working it out. I’m not that patient, but at least my writing is heading in the right direction! I usually write a poem in a burst – sometimes in just five minutes, it all comes tumbling out. Initially I get excited about it and think it’s really good. Then there’s a long process of tinkering – messing about with the words and phrases, taking out any clichés, and trying to get the line breaks right. There’s also the ‘shape’ of the poem as well – how it looks on the page. I’ve played around with different approaches. Then, when I think it’s getting somewhere, I will usually show it to another writer. I have a couple of friends who look at poems and make suggestions. They are poets too. Having a critical friend is really important for any writer, I think. By this stage, I no longer think it’s really good! I worked with Carole Bromley on my first poetry collection, The Border. She lives close to me in York and is very experienced as a writer and reader. Carole urged me to think about how the whole thing is put together, and that really helped to make that collection stronger. Her argument was that the collection needs an arc, or theme, or narrative. That really helped when I wrote Animals, and put it together so it made some sense. Undoubtedly, there have been some very strong collections that have benefited from themes: Crow by Ted Hughes, Dart by Alice Oswald, The World’s Wife by Carol Ann Duffy and A Scattering by Christopher Reid are all collections with very strong themes. I think it can help the writer to organise their thoughts and have a focus. With Animals I already had two or three animal-related poems that I withheld from The Border and went from there. In fact, there are several themes in the book: animals, the end of the world, childhood, music and poems about faith, God and the Devil. Jamie McGarry at Valley Press published The Border in 2011 and he was willing to work on Animals with me. I met Jamie in 2011 by chance at an open mic in York, and we soon discussed doing a collection. He’s a one-man operation based in Scarborough, and works hard to produce great books. 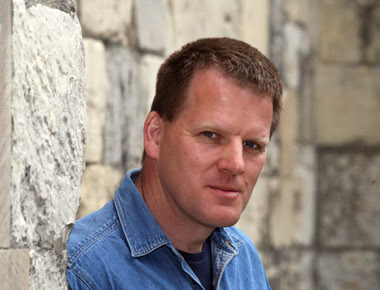 He’s got some of Yorkshire’s best writers on his list and Valley Press is developing steadily. It will be really interesting to see how Valley Press develops in the next ten years. Be open minded about what is out there. Borrow some collections from your local library. Emergency Kit is a great anthology, edited by Matthew Sweeney and Jo Shapcott. It contains lots of great poems by Simon Armitage, Philip Larkin, Ted Hughes and many more. If you want an introduction to poetry, it’s the best £8 you will spend. Go to readings if you can. If you live in London or Manchester you have no excuse, there’s loads going on! If you live in the middle of Wales, it may be harder, but there’s usually something going on close by. Miles Salter is a freelance journalist, copywriter, poet, storyteller, musician and creative writing tutor. His journalism work has appeared in The Sunday Times, Daily Telegraph, The Independent, Yorkshire Post, Northern Echo, The Big Issue In The North, Third Way, Church Times, The Grocer, and Socialist Worker, among others. Miles’ poetry has been printed in magazines such as Dreamcatcher and Aesthetica. Find out more at www.miles-salter.co.uk where you can also find out about gigs Miles is doing this autumn to promote Animals. 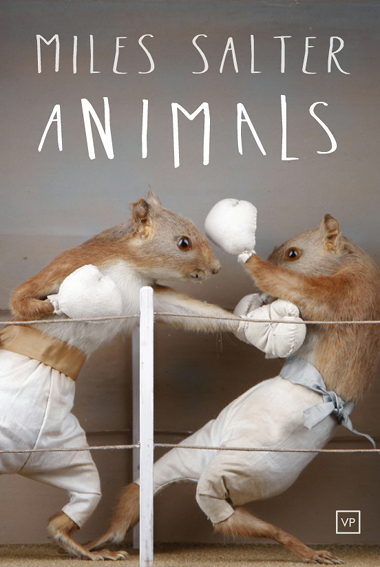 Animals is available to buy from www.valleypressuk.com or Amazon. 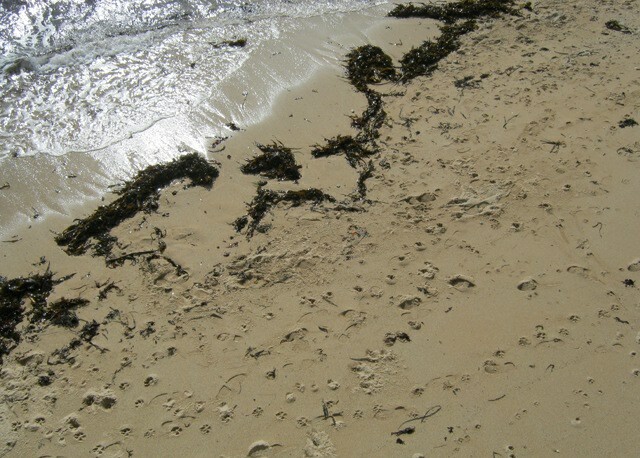 This entry was posted in Writing genres and tagged Miles Salter, poetry, writing genres by Judy. Bookmark the permalink.